This chapter explains the structure of the book. It argues that Western political theory shows a strong tendency to universalise the local, to generalise the modes of thought and experience of the political theorist’s society. 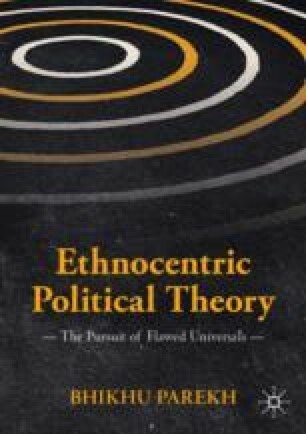 After offering several examples of this ethnocentric tendency, the chapter goes on to suggest that it is best countered through a critical dialogue between different perspectives in which the ethnocentrism of each is exposed and acknowledged.